Who said you can’t piece together the perfect summer look with one visit to your local op shop? All images courtesy of Lehan Photography. 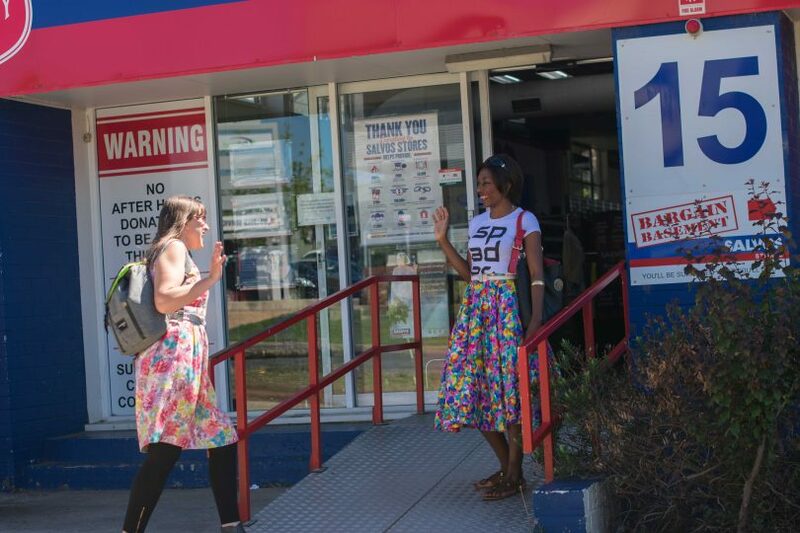 If you’re not already clued in at just how amazing some of Canberra’s op shops are, then this article will show you the possibility of building a super stylish wardrobe right from your local op shop! 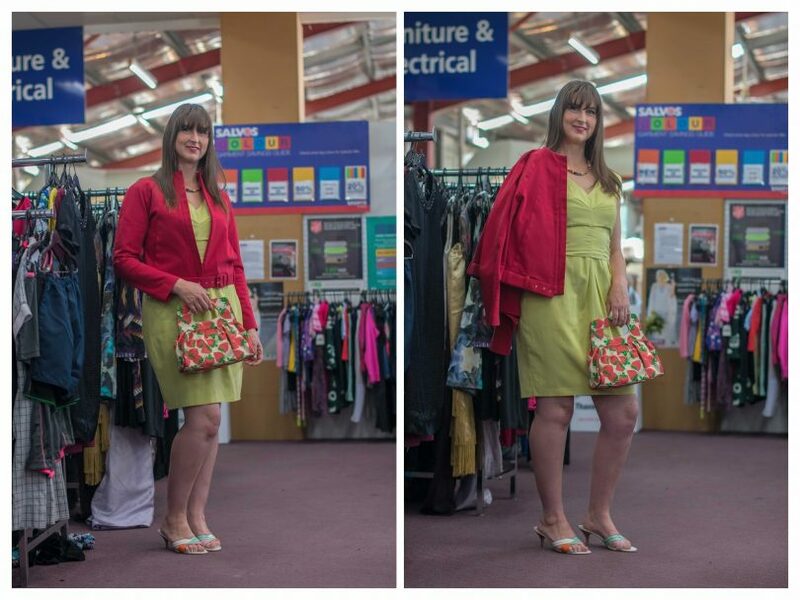 To demonstrate just how easy it is to look and feel beautiful from these treasure troves, I asked our lovely model, Linda Jamieson, to meet me at my local Salvos on Mildura street. Half an hour later, I had found and styled Linda in three different stunning outfits. 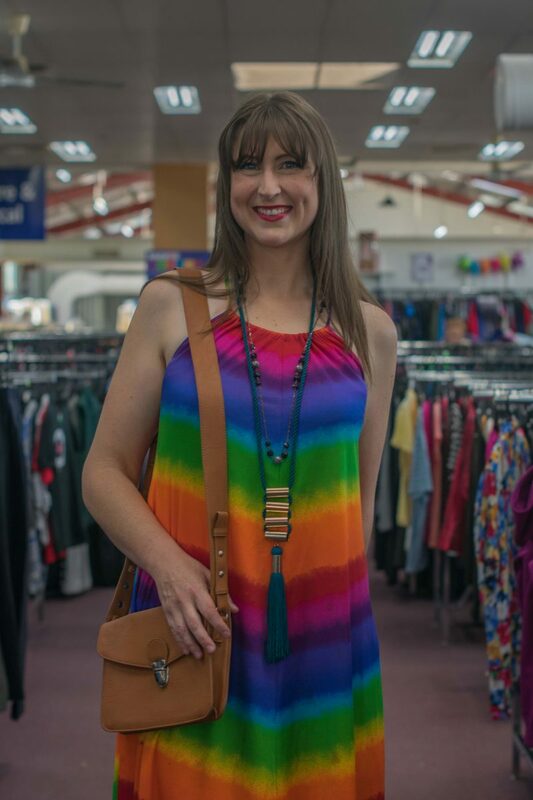 With many people steadily growing tired of being told to follow cookie-cutter fashion trends that might not suit their body type, personality or lifestyle, op shops are a great alternative for playing with an eclectic mix of styles. It gives you the freedom to play dress up until you find a trend-free style(s) that makes you look and feel like the best version of yourself. First, you must get off the fashion trend-mill! Support for the charity work that op shops proceeds can fund. 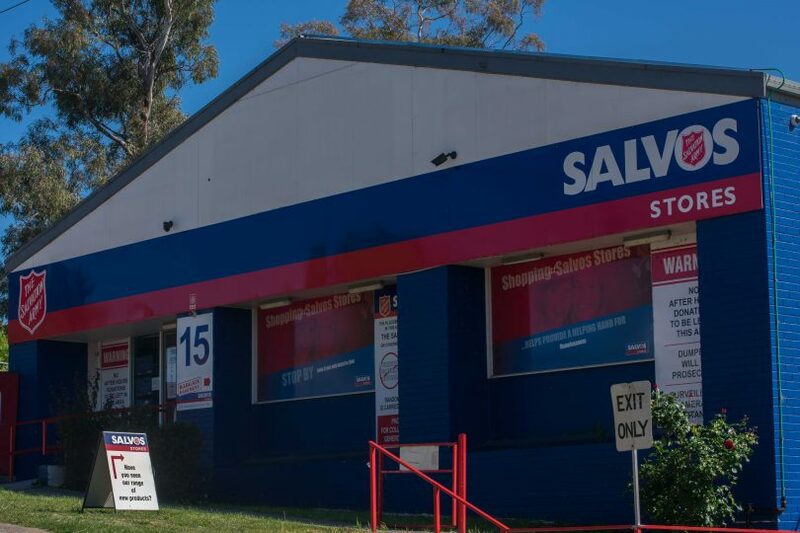 Salvos, for example, provides meals and beds for the homeless and refuge for victims of abuse amongst many other services. Reduce textile landfill waste and the social and environmental impact that comes with buying clothes from fast fashion labels like H&M and Zara. I chose this lovely pale chartreuse yellow fitted dress because we’re approaching the holiday season when, for many of us, there are usually lots of events to go to. 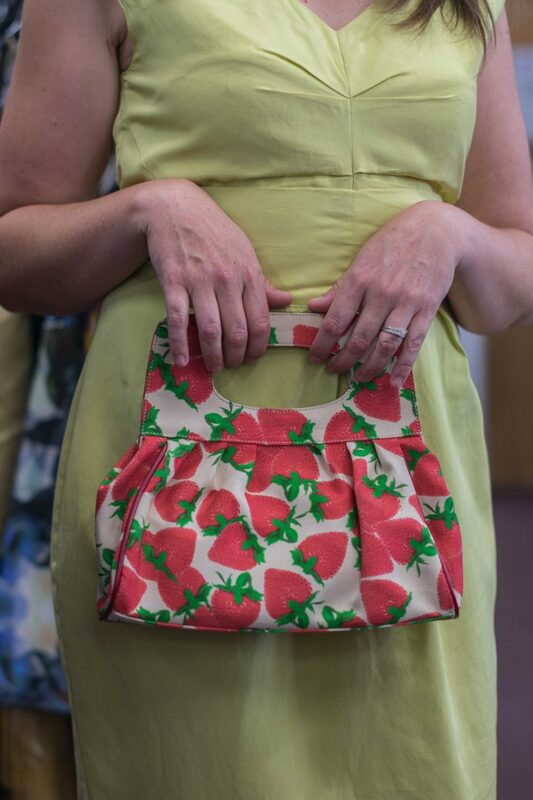 I found this pretty strawberry print handbag in the accessories section which complemented the dress colour quite nicely. Plus, it might not be a coincidence that the red & green colour palette is a perfect match for Christmas colours. These open-toe slide kitten heel sandals were also a great match for the dress. Linda loved them so much she bought them after the photo shoot! Because Canberra weather is still chilly in the evenings, I added this elegant red members-only jacket as an extra layer. It matched the bag and further makes the overall outfit appear more seasonal. A semi-conservative office look was necessary for this piece since most of us work in an office. 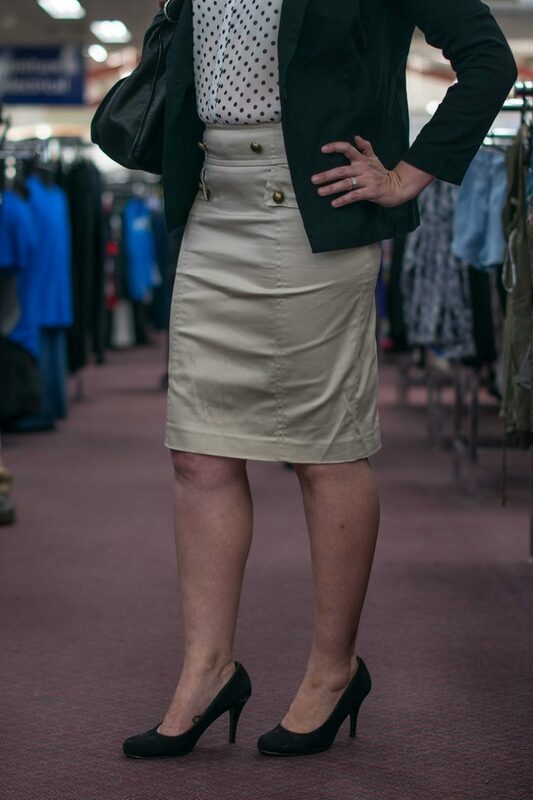 A black blazer is standard, followed by a shirt, a beige skirt, black handbag and low-heel black court shoes. For some, the polka dot blouse might disqualify the ensemble from being called ‘conservative’. I love an element of quirkiness which is why I didn’t go for the traditional plain white shirt. 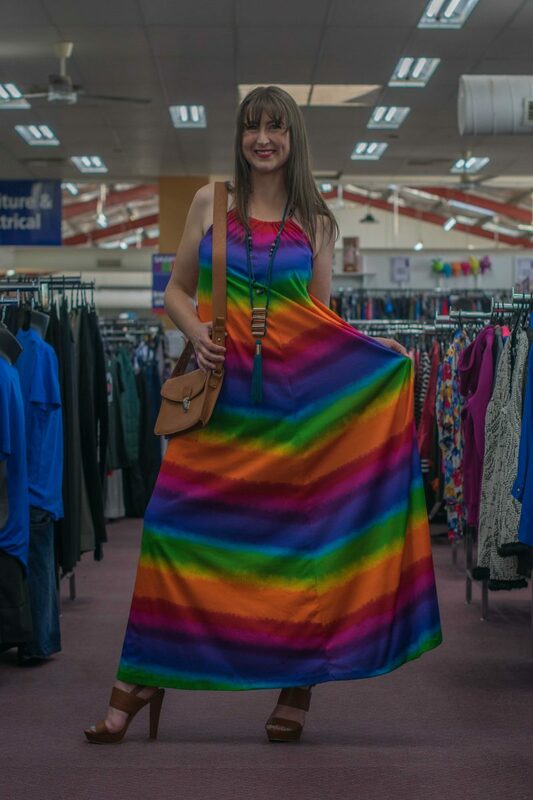 Now that we’re in the season of BBQs and summer dresses, I thought it appropriate to style Linda in this rainbow -coloured number. The colours are attractive, bright and fun, just like her personality. I added the two necklaces that suit the dress perfectly. Because the dress colours are quite loud, I chose a muted tan colour handbag and high-heeled open-toe sandals in a similar shade that won’t add to the overpowering colour palette. (Linda loves the hippy style so she ended up buying this dress too)! And I bought these tan high-heeled sandals to use as my main go-to summer dress-up sandals because they can work with most items in my wardrobe. When I wear them, I’ll post it on Instagram so you can see what I paired them with. 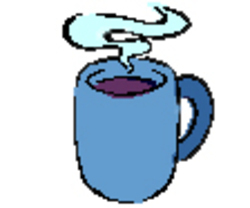 If you’re new to the op shopping game, keep an open mind and remember that it’s a different kind of shopping experience from regular retail. It’s about trying something distinct and being a little creative. 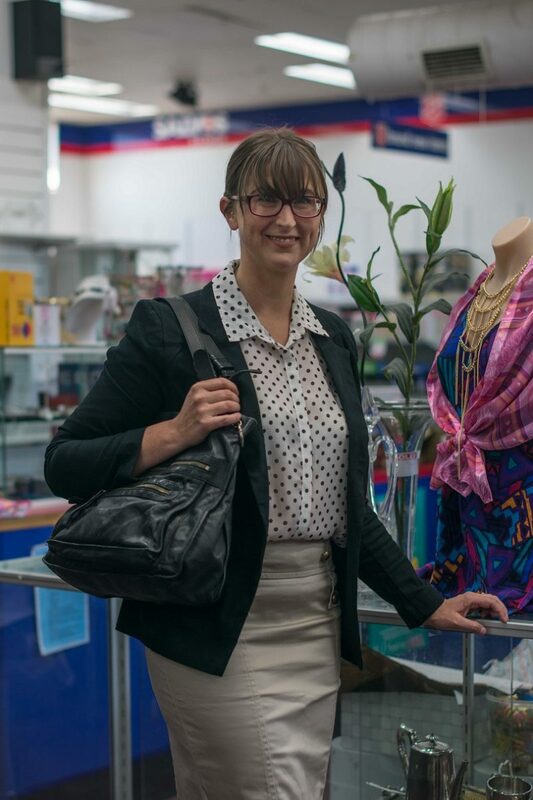 I’ve styled clients in op shops who afterwards switched to op shopping as their main mode of clothes shopping. As for me, it’s something I’ve been doing since I was 15 and I still love it! You can see some of the fabulous pieces I’ve found on Facebook and Instagram. 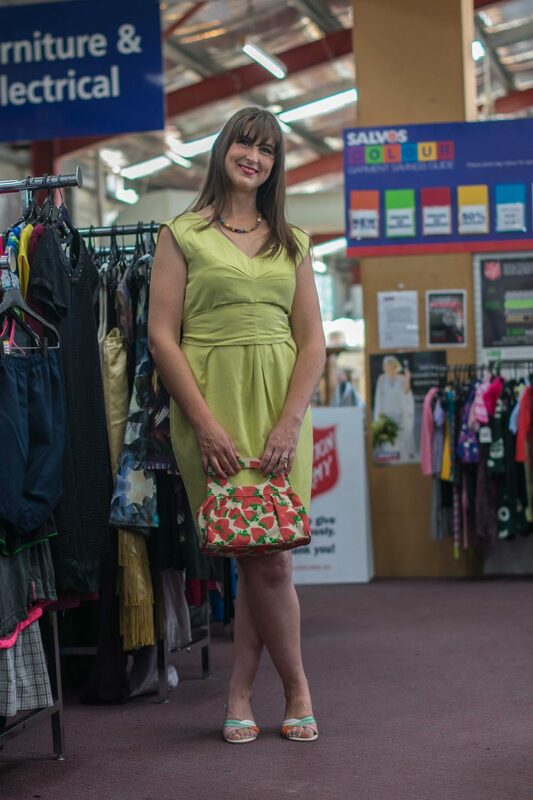 If designer labels are your thing, check out Salvos Street Boutique at their Phillip store or Designer Op Shop in Braddon. Are you an avid op shopper? 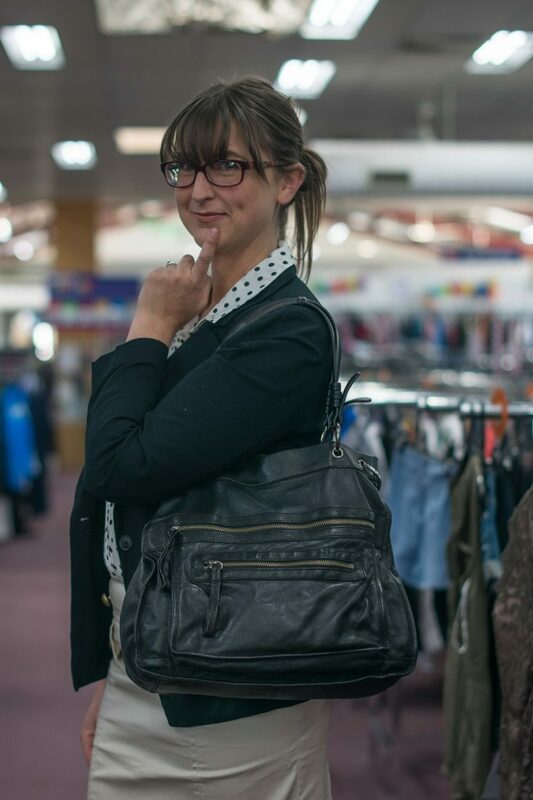 What treasures have you found in an op shop? Let us know in the comments below. G Star RAW designer jeans $299.90 on the Net. $39.95 at the Smith Family store brand new with tags. I go to op shops almost every day. Well then perhaps you could take the time to purchase a shirt at one, put it on, and take another photo for your profile…. most op shop sell just one size only. Really! What size then is that? The thrill is always in the find, but sometimes you’ve really got to shop around cause most op shop sell just one size only. I love the little suburban op shops especially for their presentation (and prices) – often heaps better than the bigger chains. Another Chance at Scullin, and Re-runs at Charnwood are all little ‘hidden gems’. Summer Capsule Wardrobing: Transforming your party outfits from glam to casual in 60 seconds!